In 1970, the FX-70® Structural Repair and Protection System made in-place repair of damaged concrete, steel and wood piles possible and practical, an industry first. By eliminating the need to dewater the site or build cofferdams, the FX-70 system drastically reduces the overall expense and loss-of-use cost as the structure can generally remain in service with the repair is executed. Simpson Strong-Tie Composite Strengthening Systems™ are designed, tested and manufactured to offer high-performance solutions and lasting results. 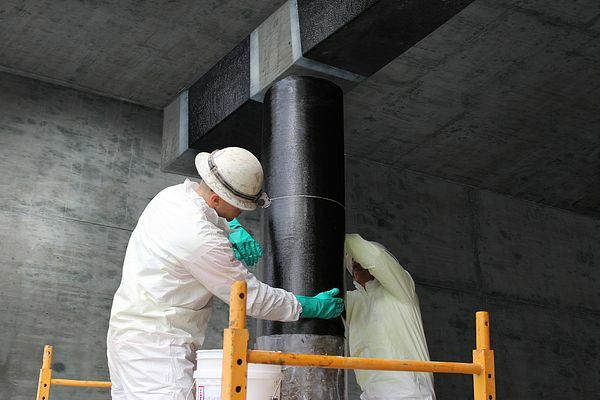 Simpson Strong-Tie Composite Strengthening Systems (CSS) provide efficient fiber reinforced polymer (FRP) solutions for the structural reinforcement and strengthening of concrete, masonry and timber structures in need of repair or upgrade.